Sixteenth century mystique and electric nights await in Valletta, the capital of Malta. Surrounded by the exotic Mediterranean Sea and Baroque architecture, Valletta is a city for dreamers, romantics and intellects. Valletta is a UNESCO World Heritage Site and home to over 6000 people. Attractions include the Valletta Waterfront, National Museum of Archaeology and Saint John's Co-Cathedral. Surrender to the romance and magic of the Mediterranean with cheap flights to Valletta. Valletta is served by Malta International Airport (MLA), which is a 20-minute drive from the heart of the city. The architecture of Valletta has captured the hearts and imaginations of art lovers for centuries. Experimental contemporary architecture and ornate Baroque architecture make up the iconic skyline of the city. By night, follow the hum of music and you will find your way to Strait Street, a pulsing hub of late night jazz joints, bustling cafés, music clubs, traditional pubs, cocktail lounges and underground wine bars. 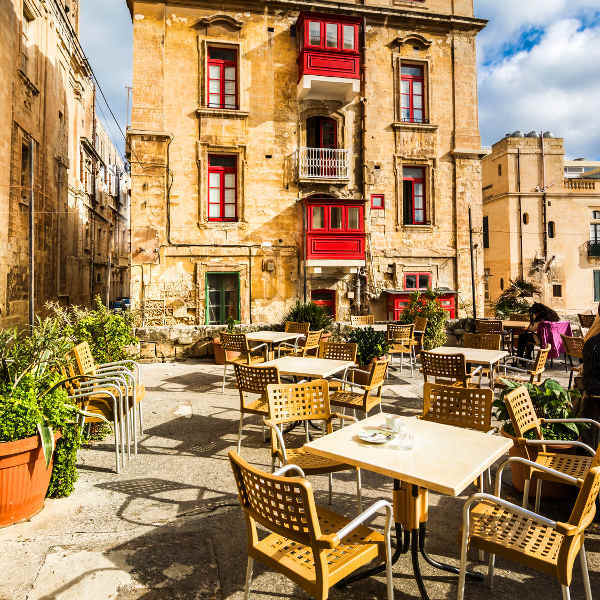 From quaint bistros to al fresco restaurants, culture and cuisine come together beautifully in Valletta. 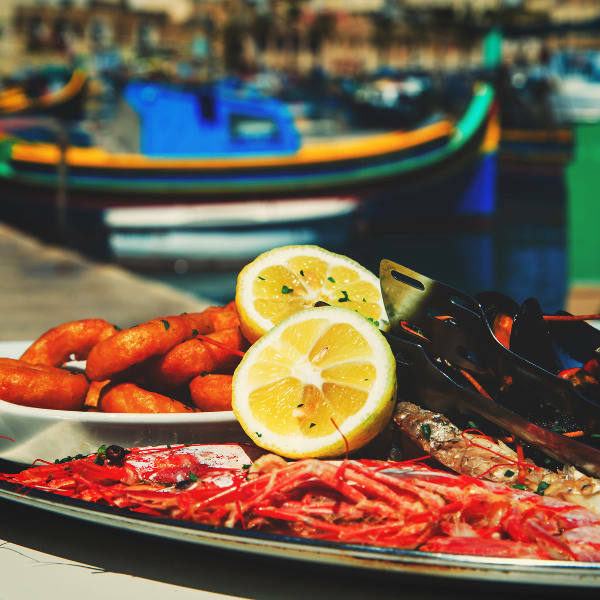 Indulge in local delicacies such as lampuka, Maltese bread and rabbit stew, the national dish. Valletta experiences a Mediterranean climate with hot summers and warm winters. Summer (June to August) is the best time to visit Valletta if you want to experience the feverish energy of the city. These months bring sultry temperatures and an irresistible holiday atmosphere complete with fireworks and festivals. However, if you want to avoid the crowds and steep prices, autumn (March to May) and spring (September to November) offer lovely weather and beautiful landscapes. 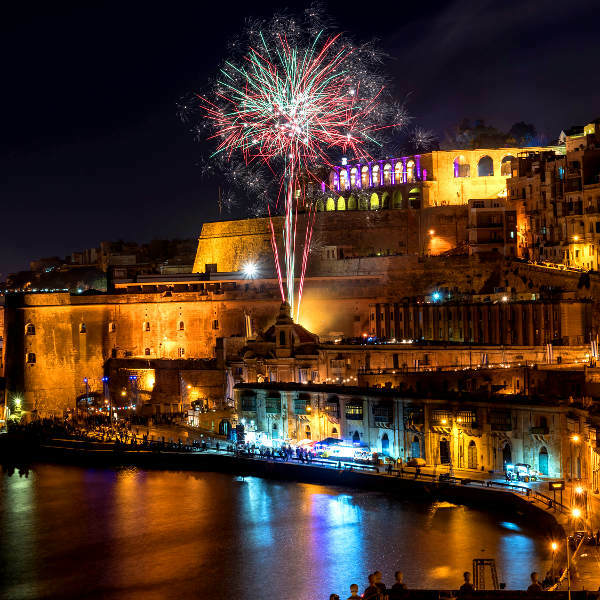 Notable events include: the Malta Fireworks Festival, Malta International Arts Festival, Notte Bianca and In Guardia Parade. For cheap flights to Valletta, the best time to visit would be between November and March. Envisioned by a Grand Master and built by aristocratic knights, a city by gentlemen for gentlemen, Valletta is a place that exudes ancient mystique and Baroque decadence. Artists and dreamers are drawn to its narrow side streets and late-night bars, romantics are seduced by its electric rhythms and Mediterranean sunsets, and intellects and history lovers are ensnared by the stories and artistic masterpieces embedded in its walls. The flamboyant opulence of Saint John's Co-Cathedral is heart-stopping. The chapel ceilings are lavishly decorated and adorned with magnificent paintings by Mattia Preti, a celebrated Maltese painter, and Caravaggio, one of Italy’s most renowned painters. Nearby is Palace Square, a bustling hub of quaint shops, restaurants and cafés. Grand Master’s Palace, the 16th century residence of the Knights of Malta, can be found in the heart of this square. It is the most spectacular building in Valletta. The Manoel Theater, with its shimmering gold and plush velvet lacing, is one of the oldest theatres in Europe, and Republic Street is famous for its elaborate façades. Compare several airlines and book your cheap flights to Valletta online at Travelstart! Although Valletta is considered a safe city, you should still use common sense and take the usual precautions to avoid any unpleasant situations. Travel insurance to cover theft and medical expenses is recommended. Remain vigilant when camping or exploring rural and outdoor areas during hunting season (spring and autumn). Avoid carrying large sums of cash and valuables, as petty crime such as pick-pocketing and bag snatching can happen. Do not leave your drink unattended in bars and nightclubs and make use of reputable taxis when heading home late at night (agree on the fare beforehand). Proof of yellow fever vaccination is required if you are travelling from an infected country. Immunisation against hepatitis A & B and rabies is recommended. Routine vaccinations include MMR, diphtheria-tetanus-pertussis, meningitis, varicella, polio and influenza.